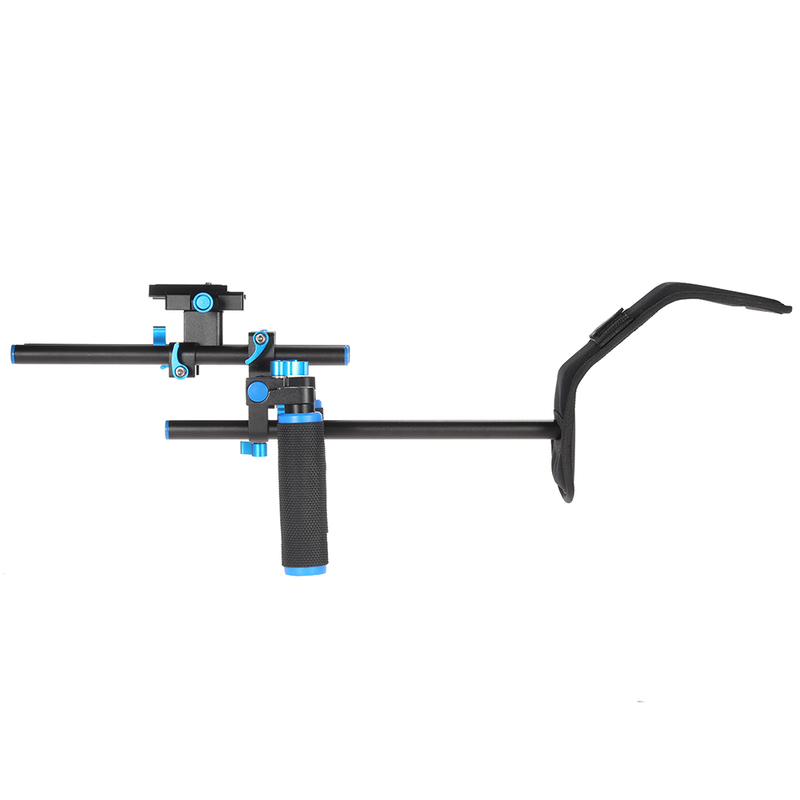 This DSLR stabilization system is designed for more steady and more comfortable long time shooting based on body mechanics. 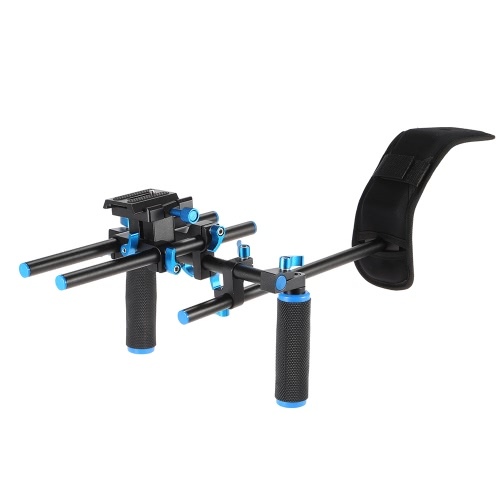 Can be used with other photography accessories, like follow focus, matte box, etc. 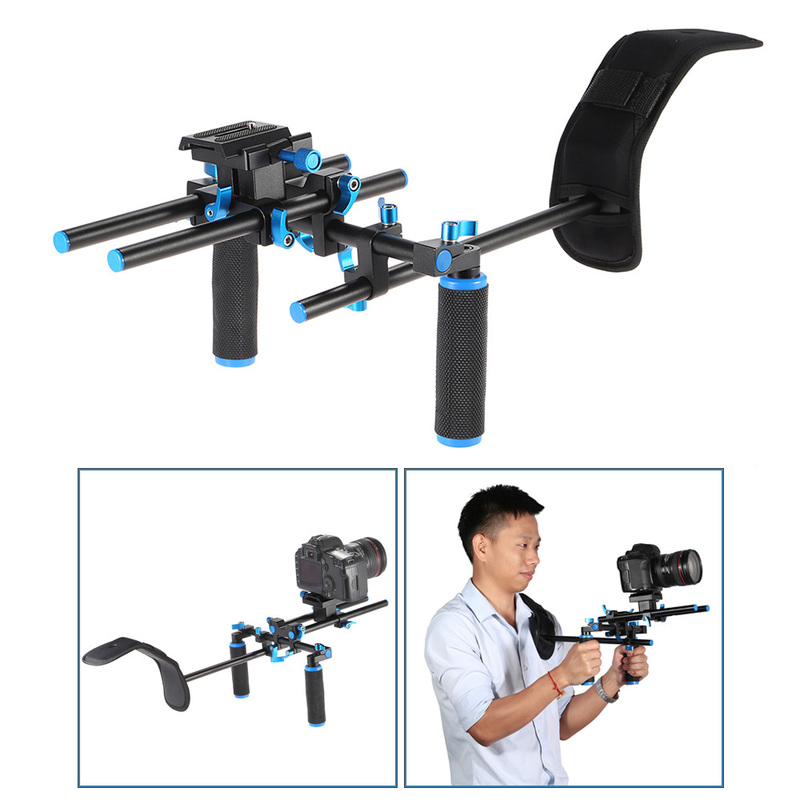 Specially designed for more steady and more comfortable long time shooting. With 1/4" screw, suitable for most DSLR cameras and camcorders. 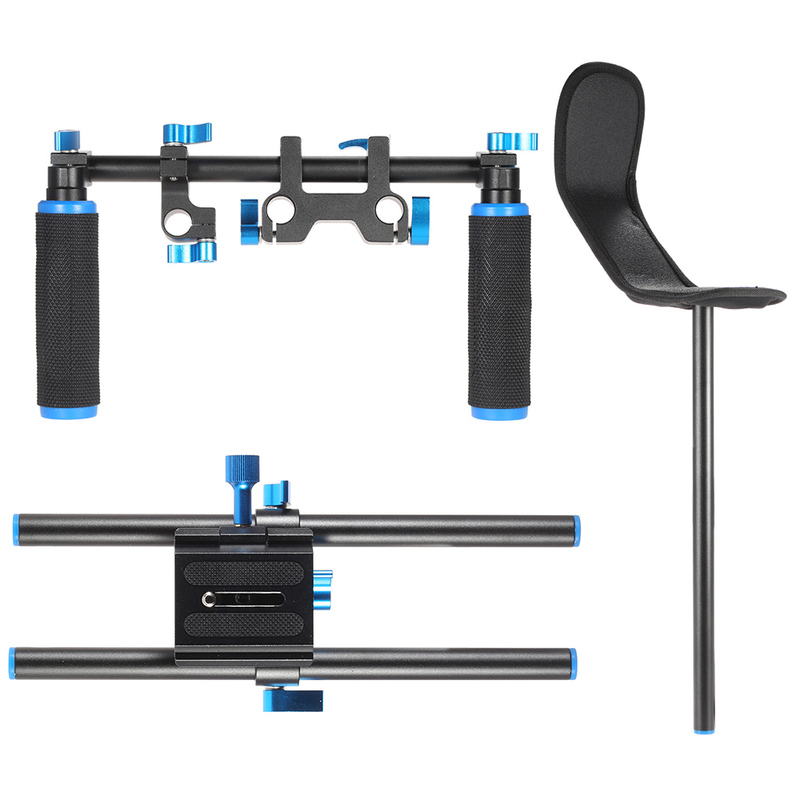 With 15mm rod system, can be used with follow focus, matte box and other accessories. Two Handle grips with anti-slip rubber, comfortable to hold. Easy to assemble or disassemble, convenience for you to carry while traveling. The camera showed in the picture is not included.